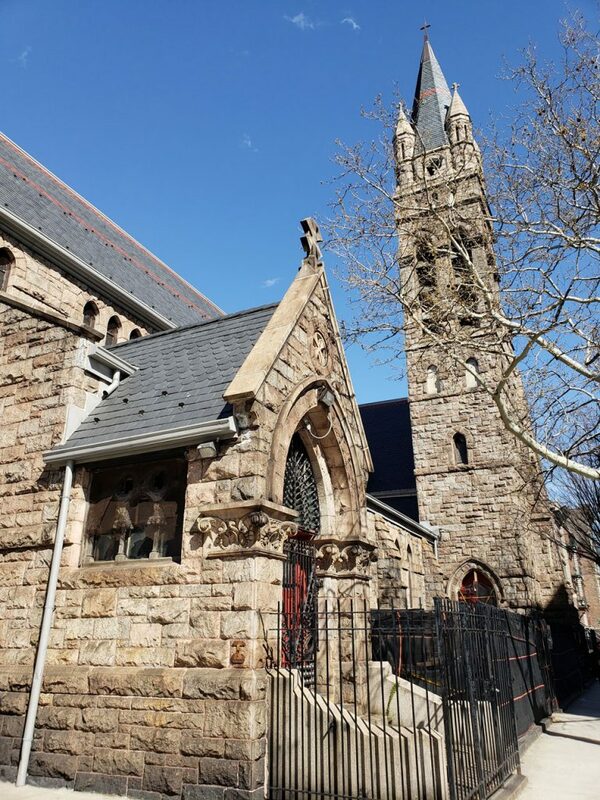 An accomplished Gothic Revival design from Henry Martyn Congden, St. Andrew’s Episcopal Church was built in 1872. A New York City landmark since 1980, its piercing clock tower is 125 ft. tall. Congden was a noted church architect whose designs for the Episcopal Church were built from Westerly, RI, to Cheyenne, WY. At St. Andrew’s, Congden pushed the tower back from the corner site, allowing for a surprisingly intimate entryway for such an otherwise monumental building.